Stapylton emerged as winners from the Year 7 House afternoon – an event designed as an enjoyable ice-breaker for the School’s youngest boys. The reigning champion House and holder of the Eric Shearly Memorial Cup, Stapylton’s prospects for the new academic year were immediately enhanced by its new cohort’s victory. Head of Extra-Curricular Enrichment Rebecca Grundy said, however, that the event, which came at the end of the first week of term, is primarily aimed at helping all the new boys get to know each other and learn about the key role that the House system plays in QE life. 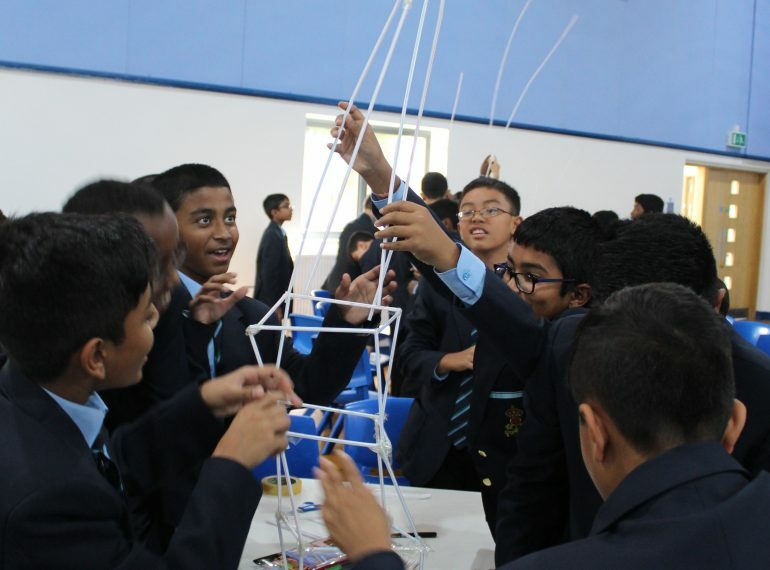 Alongside quizzes and word-searches, there was the challenge of trying to build the tallest self-supporting tower out of nothing but ordinary drinking straws and Sellotape. With only a short amount of time at their disposal, boys had to formulate a plan and execute it – finding a balance between, on the one hand, making it tall enough to be in with a chance of victory and, on the other, ensuring that it was stable enough to be free-standing and so avoid disqualification.